On the heels of his prize winning book "No Direction Home", photographer Andrej Krementschouk (*1973 in Gorky) once again tells a moving story about homeland and homelessness, roots and identity. 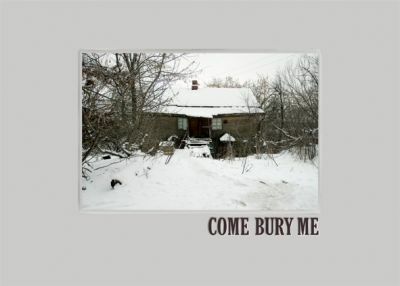 The setting is a dilapidated old cottage in the center of a small Russian town, where a group of orphanage-raised homeless people have made a home for themselves. 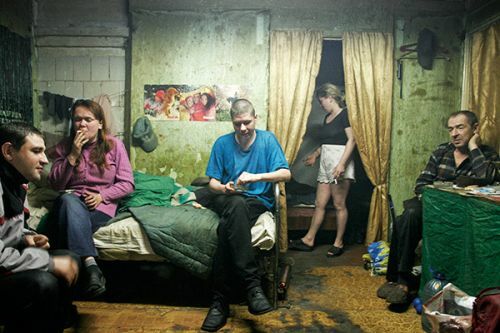 When Krementschouk chanced upon this group in 2006, they invited him inside where he captured both moments of despair and addiction but also warmth and tenderness. "Come bury me" – with these words one of the women bid farewell to Krementschouk when he promised to come back to visit the following year. Upon his return in winter 2008, he found nothing but a burned-out shell and learned from the group’s sole survivor that the house and its inhabitants had fallen victim to arson. A new building is now going up on the site. This book is dedicated to the memory of the singular people who once made their home there. Andrej Krementschouk was a winner in the contest gute aussichten – junge deutsche fotografie 2007/8 (good prospects young German photography) and has exhibited at venues including the Deichtorhallen in Hamburg, the Martin-Gropius Bau, Berlin, the Drostei, Pinneberg, C/O Berlin, and the Kalmar Art Museum in Sweden.